Pinellas County Probate and Trust Attorneys in Seminole | DeLoach, Hofstra & Cavonis, P.A. Thank you and everyone else at your office who did such meticulous work in settling my mom's estate. Marilyn M.
Thank you for guiding me through this unexpected (what could've been) nightmare! Jeanne K.
Whether expected or unexpected, the death of a loved can be a traumatic and trying experience for the whole family. It may be difficult to learn how to move forward with a life without your beloved family member, let alone deal with confusing and time-consuming legal issues that arise. This can be especially true for the Florida probate process, which settles the estate of the deceased. While it is possible to efficiently and effectively navigate probate, the process can drain resources and take up valuable to time for families if not properly managed, adding more stress to already emotional and overwrought situation. This can be true regardless of the size of the estate. Probate is typically handled by the personal representative (sometimes called the executor), who can be named by the deceased before death or can be appointed by the court. It is the job of the personal representative to manage the paperwork, filings, and financial responsibilities of the estate. The personal representative is a fiduciary and is held to the highest standards of honesty and fair dealing with the creditors and the heirs. Having excellent legal advice with experienced probate and trust attorneys will make the personal representative's job easier, reducing stress and saving the family time and money. Why is Probate So Difficult? Probate does not always have to be time-consuming and difficult, but it often ends this way when not properly managed. Probate was created as a means to ensure that an estate is properly settled before the correct heirs receive their inheritance. Unfortunately, the process can become complex without the correct legal guidance. The probate and trust attorneys are here to help facilitate a quick and efficient probate process. We offer practical advice and believe it is part of our job to make things as easy as possible for the personal representative (also known as the "executor"). If you and your family are dealing with probate issues after the death of a loved one, please do not hesitate to call us for a free initial consultation. Ancillary Probate Administration: This type of probate is for when the decedent owned Florida real property in his or her own, individual name. We have more on ancillary probate administrations here. How Do I Know When an Asset Goes Through Probate? Assets need to be probated when assets are in the decedent's own, individual name. We have more on probate assets here. 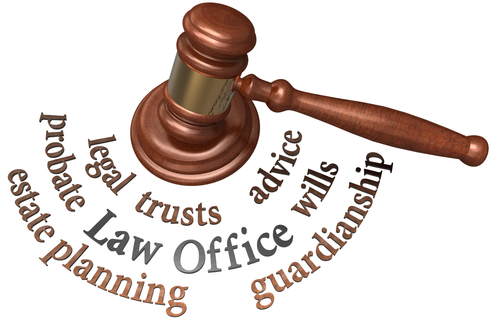 Do I Need an Attorney to Probate and Asset? You (or your family) will need an attorney in most Florida probates, mostly depending on the size of the probate assets and other complexities. You can more about needing an attorney for a Florida probate here. If you are having questions on Probate in Florida or if you are the nominated personal representative (i.e., "executor") of the decedent's last will and testament, our free book, Navigating the Florida Probate Process, will be invaluable help in this difficult time. Follow this link to your free book today. At DeLoach, Hofstra & Cavonis, P.A., we understand that a lack of direction during probate can add undue strain to a family already facing a difficult time. We are here to protect you and your family’s assets and help you navigate the probate process as quickly and smoothly as possible. With decades of experience in the probate process, we will make the probate process as easy as possible possible during this difficult time.